Network Space has acquired prime industrial premises in Rotherham as it builds up its portfolio in the Yorkshire region. The commercial property development, investment and management company owned by Bill Ainscough rebranded from Langtree Group last year. Network Space now comprises a self-managed investment portfolio of over three million sq ft of modern industrial and office developments across 60 locations with a combined value of over £130m, the majority of which has been self-developed. The company continues to bring forward for development its directly owned land bank of over 1,000 acres. 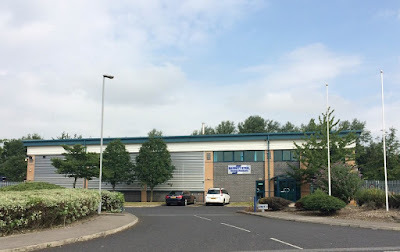 The property portfolio includes a number of Rotherham premises including the successful Vector 31 development at Waleswood and Century Park Networkcentre - 28 office and workspace units over two phases adjacent to RiDO's Century Business Centre at Manvers. The latest addition is Unit 1 at Centurion Business Park in Templeborough. The popular area is home to the likes of THS Tools, Marsden Weighing and Signs Express. It is anchored by Newburgh Precision and Toyoda Gosei. Brought to the market by Sanderson Weatherall last year, the 16,195 sq ft unit was previously home to Barrett Steel's energy products division. The modern warehouse unit with ancilliary offices was made available freehold with vacant possession at an asking price of £995,000. Represented by commercial property agents Gent Visick the Rotherham deal is one of three separate transactions totalling £5.15m in recent months. Network Space has also acquired properties at Silkstone Court, Barnsley and Willowbridge Way, Castleford. Gidon Amar, director at Gent Visick said: "The market has become extremely competitive for similar quality stock. The transactions, which include off market and freehold vacant possession purchases, demonstrate the strength of the market." Martin Mellor, investment director at Network Space, added: "All three units display excellent underlying fundamentals which are consistent with our portfolio, whilst Yorkshire continues to be a stronghold for us."